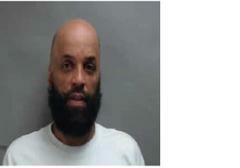 South Brunswick Police have issued a warrant for the arrest of 49 year old Eddie Lee Jr in connection to two recent thefts from local convenience stores. Lee Jr has been charged with the theft of over $3,000 in cigarettes from Wawa locations in South Brunswick within the past month. The first incident occurred at the Wawa on Route 27 on November 19th and the second incident occurred at the Wawa on Route 535 on December 6th. Store surveillance footage shows Lee Jr going behind the check- out counter and taking cartons of cigarettes without paying. Lee Jr was seen entering a silver Honda Accord during the theft of November 19th and a red Chevrolet Avalanche during the theft on December 6th. Lee Jr is also wanted for similar thefts in surrounding areas. Police believe that Lee Jr is still in the Middlesex County area and are requesting the publics assistance in locating him (see the attached picture of Eddie Lee Jr). Police ask anyone with information on Lee Jr’s whereabouts to contact South Brunswick Police at 732-329-4646.